A debut novel from author and environmentalist McKibben about a band of Vermont radicals, led by a 72-year-old radio host, who decide that their state might be better off as its own republic. This book is hilarious, almost a comic-book tale pitting good versus evil, small versus large and independence versus establishment. The good guys here make fools of Vermont’s political leaders, outwitting them at every step ... Bill McKibben has penned an entertaining political satire, a delightful romp through Vermont’s hills and valleys ... All this nonsense creates a quick read, a delightful romp of a morality play that allows McKibben, a noted environmental activist, to make his points, including shots at our current White House occupant. Vern's charisma is evident from the start, as McKibben renders him with impish wit and sly wisdom ... McKibben's folksy portrayal of the state is Garrison Keillor's Lake Wobegon meets Newhart and the author's pop-culture savvy punches up his otherwise provincial fable ... the book breezes along on a shaggy-dog plot that spirals into the surreal. 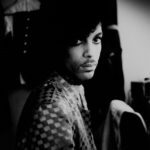 That's both a strength and a drawback; veering erratically from light-hearted and heavy-handed, Radio Free Vermont succeeds best when it settles into a zany groove that borders on magic realism. The book doesn't offer secession as a serious solution to Vermont's, or America's, woes — it's more a Swiftian modest proposal, one that symbolizes something far more reasonable and practicable: nonviolent resistance against a rising tide of ignorance and oppression. McKibben's chosen cause of environmentalism falls under this umbrella, but his book wisely takes a wider satirical stance, while keeping a focus on its quirky, cranky cast of characters. 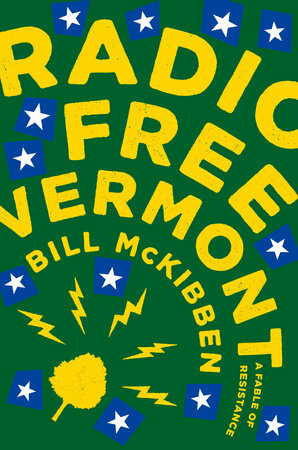 A lean, fantastical, swift-kick-in-the-pants of a read, Radio Free Vermont may not save the world — but it succeeds wildly in making the formidable prospect of resistance feel a bit more fun. The early parts of the novel are taken up with Vern’s podcast monologues...We get whole pages of explanation about the evils of industrial farming, the sources of modern alienation and the highlights of Vermont’s proud history. That could be tiresome, for sure, but McKibben, who lives in Vermont, has re-created on the page the pleasures of a good old radio voice: a lulling mixture of curious detail, dignified outrage and self-deprecating humor ... To say this is a small novel would be no offense to the author, who praises smallness throughout, but I wish McKibben sounded a little more anxious about the sinister trappings of secession movements ... Given the current reign of chaos in the White House, it must feel tempting to give up on America and go your own inspired way, but we need everybody now more than ever. Don’t run away, Vern. Stay and help us. What did you think of Radio Free Vermont?